K-pop superstars BTS will present an award at the 2019 Grammy Awards, Variety reports. The countdown to Music’s Biggest Night continues as the South Korean boyband prepares to join a star-studded roster of fellow Grammy nominees at the 61st Annual Grammy Awards, which are taking place at the STAPLES Center in Los Angeles, California this Sunday, Feb. 10. Alicia Keys will host the live ceremony, which will air at 8 p.m. ET/5 p.m. PT on CBS. BTS is notably nominated for a Best Recording Package Grammy award for their Billboard 200 chart-topping album Love Yourself: Tear, the album preceded the release of the group’s third installment in the Love Yourself triology, Love Yourself: Answer. The band joined an elite group of artists with a rare chart-topping double after Answer topped the all-genre album charts less than 12 months after its predecessor. Suga, V, J-Hope, RM, Jungkook, Jimin and Jin recently won several awards in their native country, including the coveted Daesang (grand prize) at the 2019 Seoul Music Awards. BTS thanked their fans (aka ARMY) in their inspirational Daesang acceptance speech, which was one of the highlights of the ceremony. They also gave a shout out to Big Hit Entertainment’s up-and-coming “junior” group, TXT. Their appearance at the 61st Annual Grammy Awards marks BTS’ first appearance at a live Grammy Awards show. The group is competing with Mitski, St. Vincent, The Chairman and Foxhole in their Grammy category. The category BTS will present at the 2019 Grammy Awards has not yet been announced. A large lineup of performers are slated to hit the Grammys stage including Cardi B, Brandi Carlile, Shawn Mendes, Kacey Musgraves, Camila Cabello, Janelle Monae, Miley Cyrus, Post Malone and more. 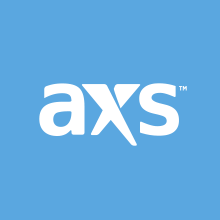 Stay tuned to AXS for ongoing Grammy Awards coverage.